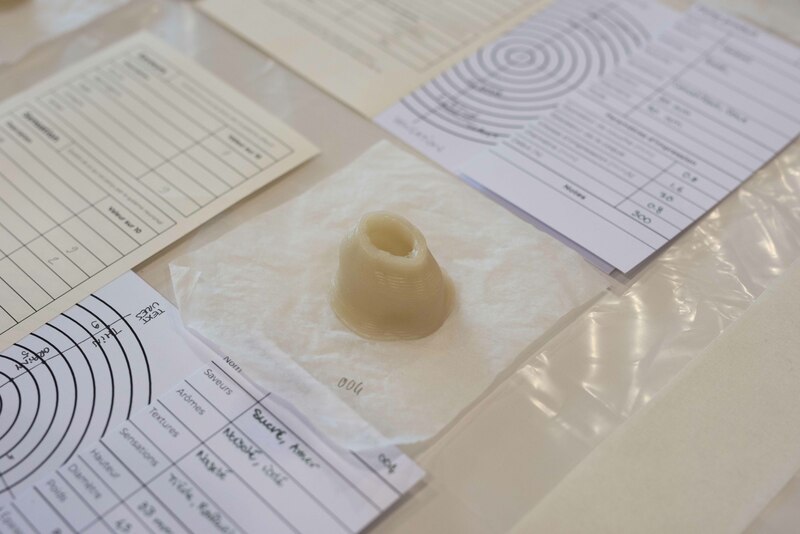 The singular approach of the Behavioral Matter workshop aims to question and test the notion of behavior in relation to matter and materials, objects and techniques, as well as to living or semi-living systems. With a non-anthropocentric approach, we turn our attention to the agentivity of matter, materials, and systems (both natural and artificial), with the goal to test and open perspectives for developing works of art and design that integrate ecosystem and ecological requirements. 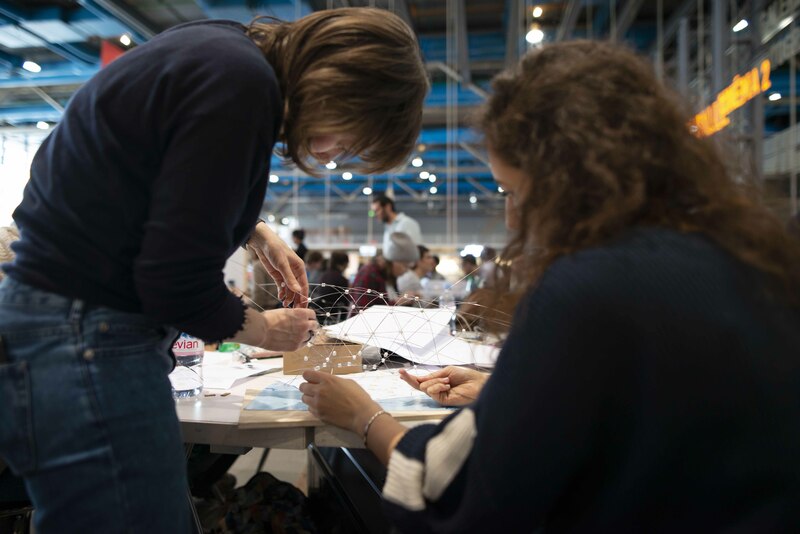 The workshop format is our way to renew the conditions in which creation takes place and is exhibited: reflection thus emerges through practice and in action. 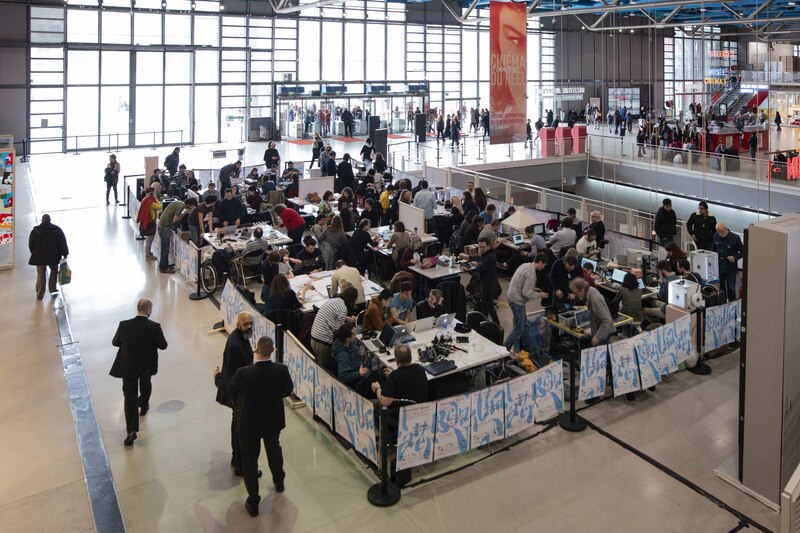 A large number of international researchers and students coming from the natural and social sciences, engineering, and the humanities, as well as from art and design, work side-by-side with creators as well as with the public. 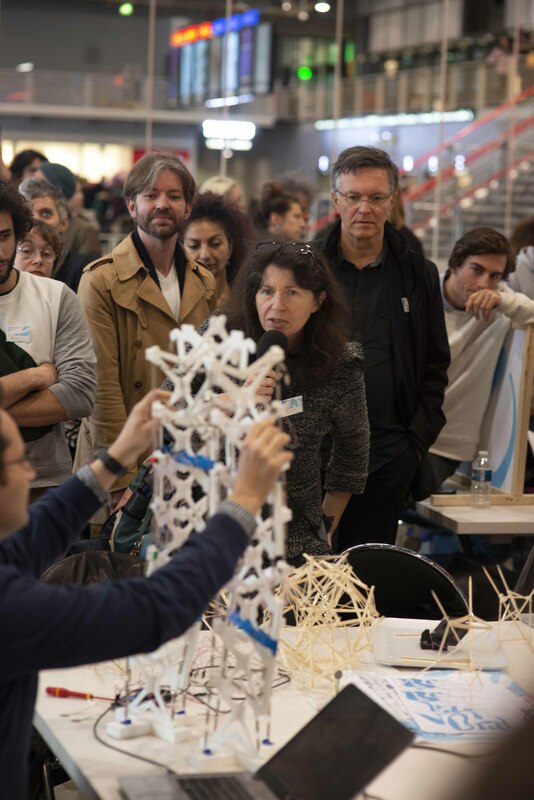 The core method is to experiment at the crossroads of art, design, and science, in an open exchange in the public arena. The approach is fundamentally about cooperation and involves rethinking relationships among humans, non-humans, and environments. It seeks to create by taking inspiration from the living, by composing with living or partially living systems or organisms. 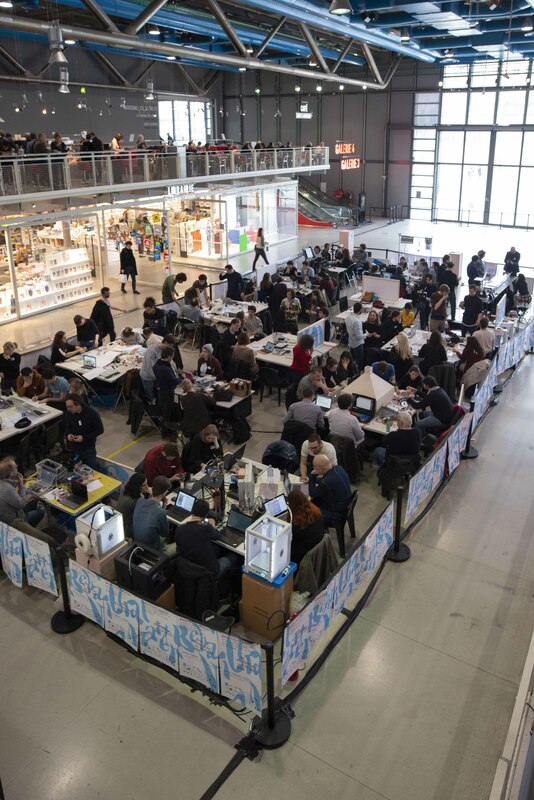 For three days (March 15, 16, and 17), over 70 artists, designers, researchers, student-researchers, students, and engineers from many different countries (Germany, Australia, Canada, Spain, the United States, France, Italy, Great Britain…) work together in the Forum: the main lobby of the Pompidou Center. 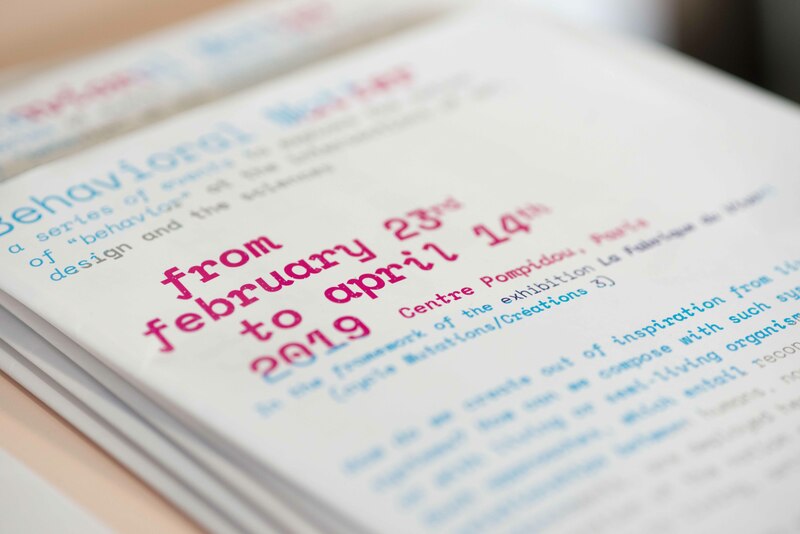 Towards the end of the third day, participants give a public account of their work, of the collective reflections that emerge, as well as of any resulting productions. In order to include all these actors, and to facilitate collaboration, the workshop is organized in twelve clusters. 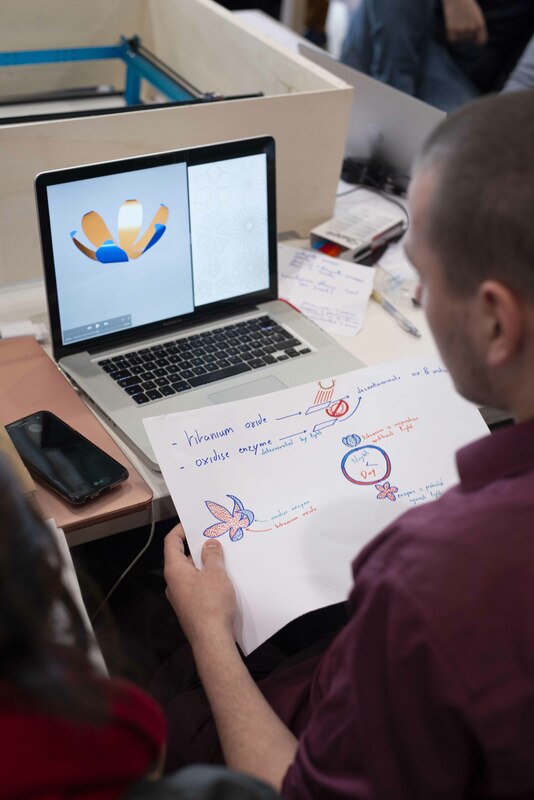 Each cluster is proposed by a small team whose members establish the material and conceptual conditions that allow for the reflexive practice that is paramount to research-creation. 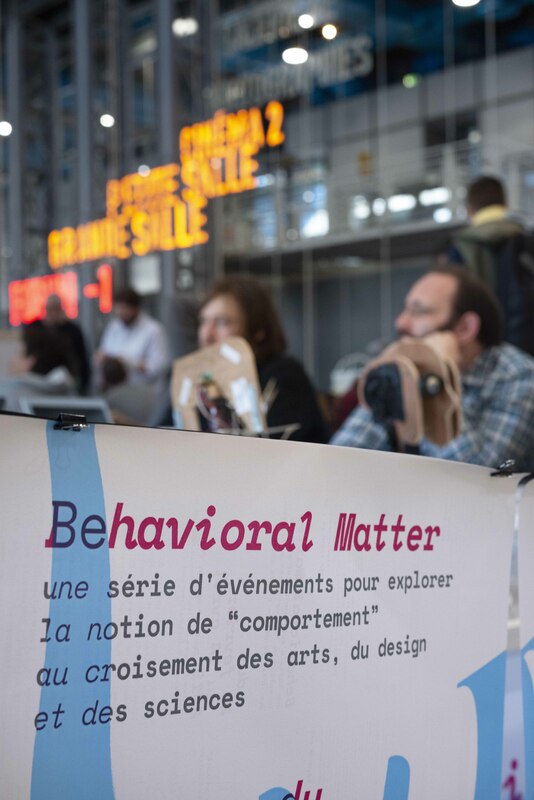 CREDITS: This workshop, created and produced with the Centre Pompidou in the framework of the exhibition La Fabrique du Vivant (Mutations/Créations 3), stems from the Behavioral Matter project developed by the Reflective Interaction group of EnsadLab (the research lab of the École nationale supérieure des Arts Décoratifs – EnsAD, Université PSL, Paris) in partnership with the cluster “Matters of Activity. Image Space Material” from the Humboldt-Universität zu Berlin. 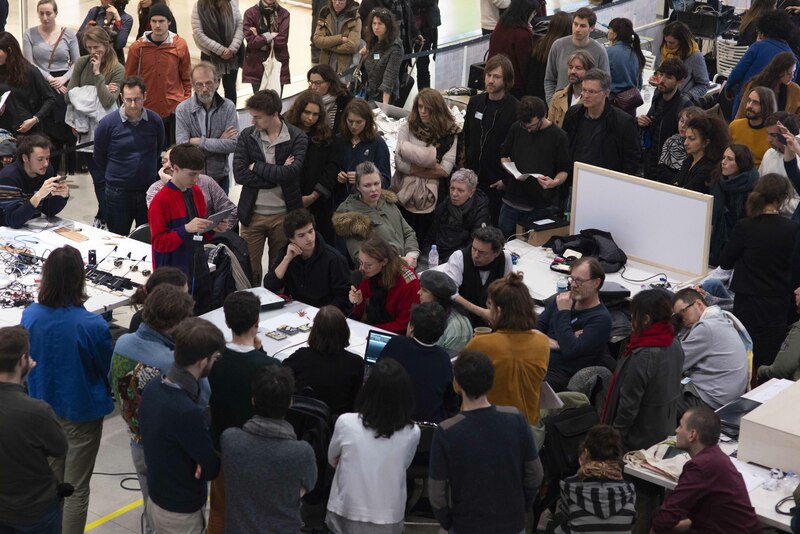 It is supported by the Chaire Arts & Sciences of the École Polytechnique, the École nationale supérieure des Arts Décoratifs – PSL, and of the Fondation Daniel and Nina Carasso, and by the PERSPEKTIVE fund for contemporary art & architecture (an initiative of the Bureau des arts plastiques de l’Institut français, supported by the Ministry of Culture and the Goethe Institute). 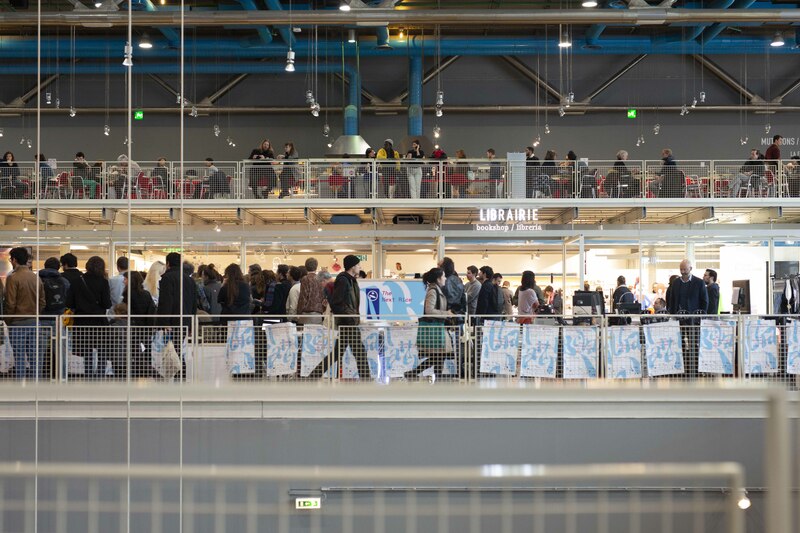 Over 70 participants come from École nationale supérieure des Arts Décoratifs, Université Paris Sciences et Lettres [FR], École nationale supérieure de création industrielle – Les Ateliers [FR], École nationale supérieure des Beaux-Arts de Paris, Université Paris Sciences et Lettres [FR], École normale supérieure Paris-Saclay, the Institute for Research and Coordination in Acoustics/Music [FR], École polytechnique [FR], The Royal College of Art of London [UK], Université Paris Sciences et Lettres [FR], Humboldt-Universität zu Berlin [DE], the Max Planck Institute for Colloids and Interfaces, Potsdam [DE], Politecnico de Turin [IT], The University of Maine [US], Ésad TALM – Le Mans [FR], Université de Cergy-Pontoise [FR], École nationale supérieure d’art de Dijon [FR], Université du Québec à Montréal – Hexagram [CA], Concordia University – Hexagram [CA], the University of A Coruña [SP], Falmouth University [UK], University of California, Davis [US], the French Alternative Energies and Atomic Energy Commission, [FR], and the Centre national de la recherche scientifique [FR]. General coordination: Samuel Bianchini and Manuelle Freire, in collaboration with Alexandra Fortoul, Patricia Ribault and Julie Sauret; Graphic design and signage: Bertrand Sandrez; Production manager: Lucile Vareilles; Mediation: Filipe Pais; Engineering: Didier Bouchon and Cécile Bucher; Assistant: Victoria Gombert. Tensegrity is the architectural principle of balance of tensions. Like cable-stayed bridges, the Eiffel Tower and the human musculoskeletal system are structures that bend and skew according to external forces and shocks in order to better absorb them, and to better support a higher weight than their own. 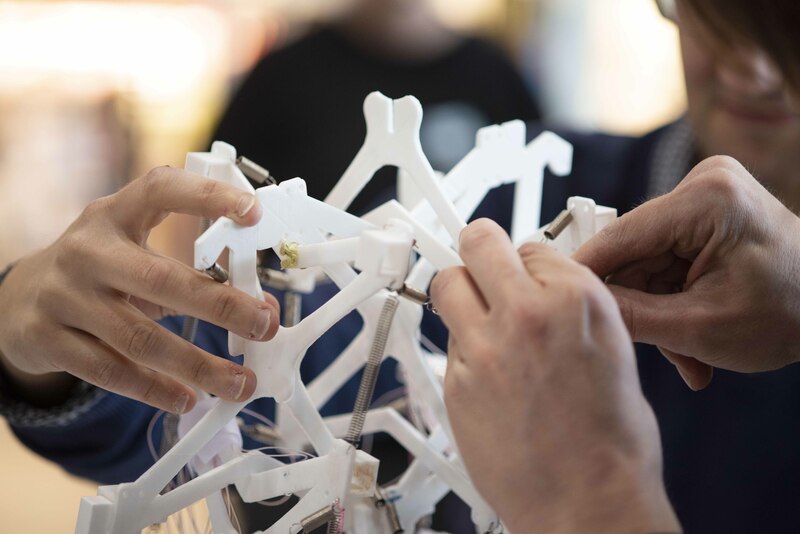 This workshop explores this principle to create a lightweight, flexible but robust and inexpensive robotic demo which coordination control of motor synergies, postural balance and dynamic movements are inspired by those of the spinal cord. Being Collective is a site to experiment new modalities of inter-species communication. 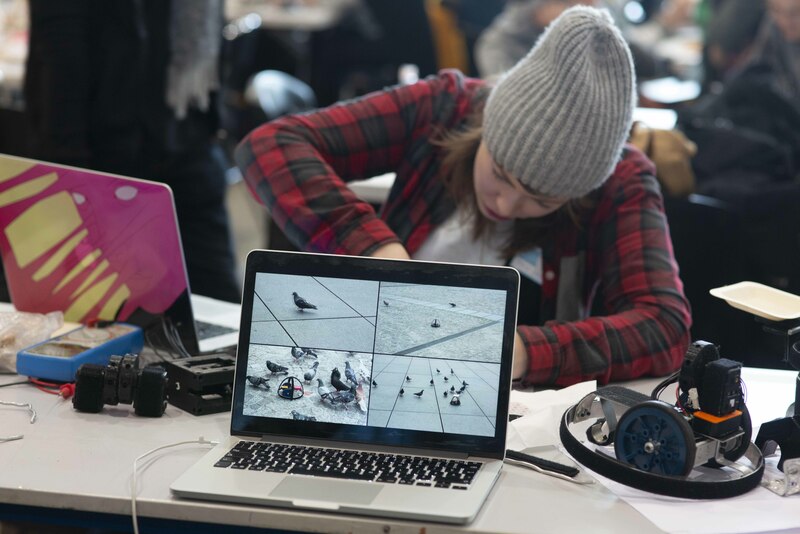 Built on a previous experiment for an “Internet of parakeets and robots” in which the latter were able to read and draw emotional states from the birds’ singing, this second iteration of Being Collective includes other living species in their environment, namely those living around the Pompidou Center. How can we connect robots to pigeons? Can we read and express the emotions of plants? Can we design an Internet of animals? We explore these and other questions. The creation of autonomous behaviors for robotic agents is generally based either on direct programming or on the recording of predetermined movements. This workshop explores machine learning applied to the development of the behaviors of objects. Using an experimental and collaborative approach, participants set the agenda and collectively coordinate their efforts. The public can interact with prototypes capable of learning behaviors by reinforcement, or by imitation. limb, or on its surface, and open way to consider a new type of augmented body, very different from the traditional notion of the exoskeleton. The question that interests us here is the transformation of the human body in order to invent new types of performances and sensitive experiences, with the goal of possibly initiating an interspecific physical dialogue through biomaterials. object. 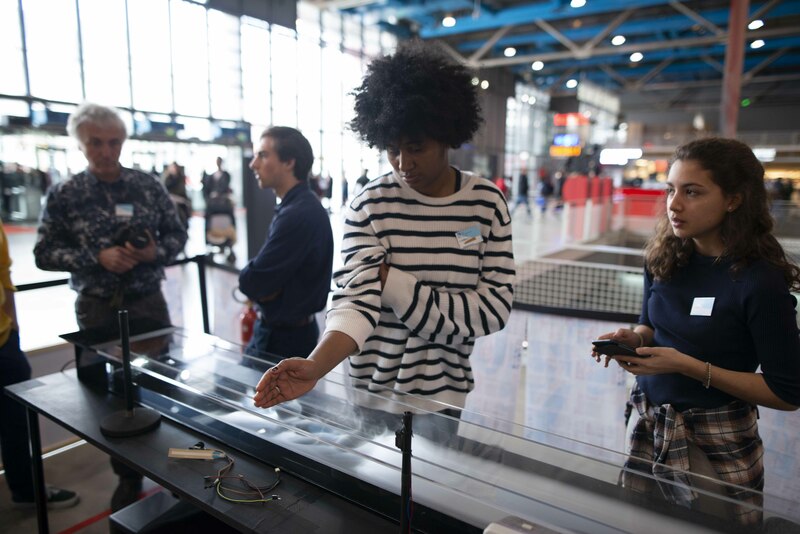 The objective of this workshop is to fabricate/use/experiment with magnetic-responsive soft polymers to mimic the behavior of nature. 2D planar structures of magnetic-responsive soft polymers are used to exploit origami and kirigami folding and unfolding processes. 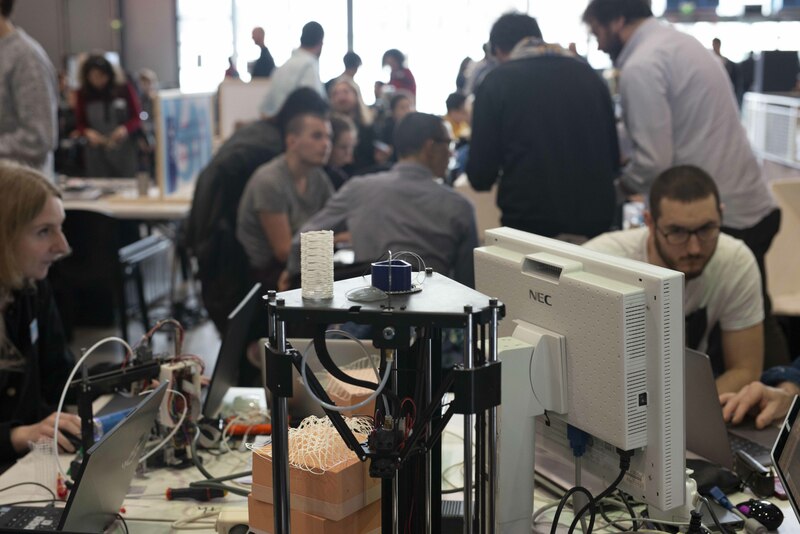 Throughout the workshop, participants speculate on possible near-future applications of 4D printing: what real-life environmental changes could be used to animate the 4D object and how might it physically react in response? Can we replicate aspects of living systems into a purely mechanical one? 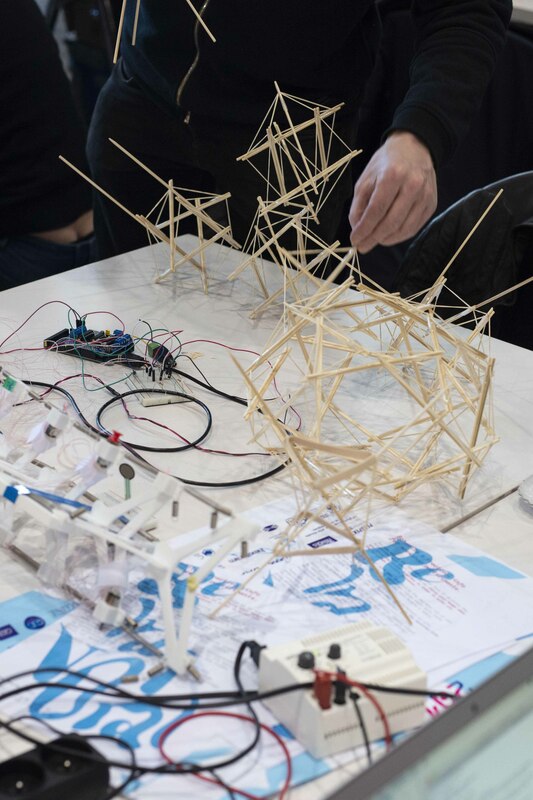 This is investigated in the Morphostructures module by experimenting with a self-morphing triangular lattice built with metal wires held together by plastic connectors. Some wires are glued to the connector (hence they are passive). Other wires can run through the connectors and be fed into the structure (hence they are active). Motors and sensors attached to the lattice allow for a range of movements, which can be explored to mimic or remind behaviors that are characteristic of living systems. Growth and Paths consists of reiterating experiments by monitoring the printing of matter and controlling the printers’ strings of information. The experiments, performed on the matter itself or the machine, take place individually or concurrently to explore the behavior and production of form. 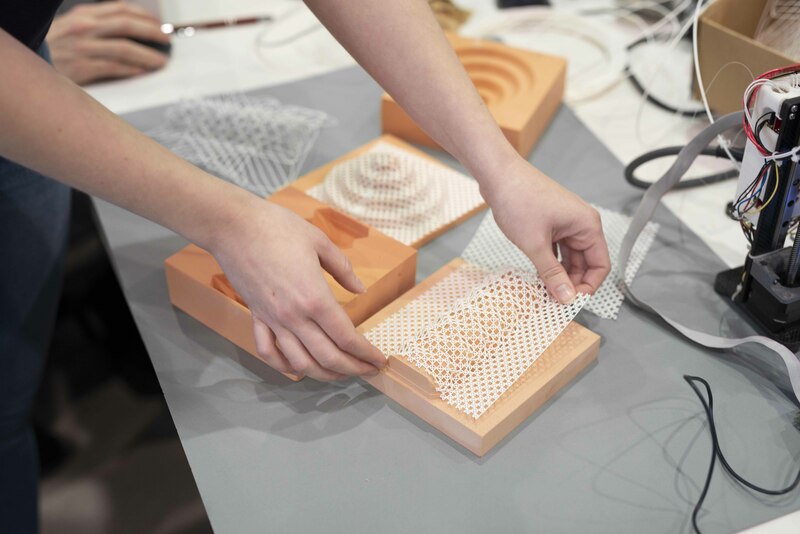 This workshop aims to create shapes that take into consideration the morphology of natural shapes and structures, combined with generative computer tools in relation to the various states of the material during its production process. 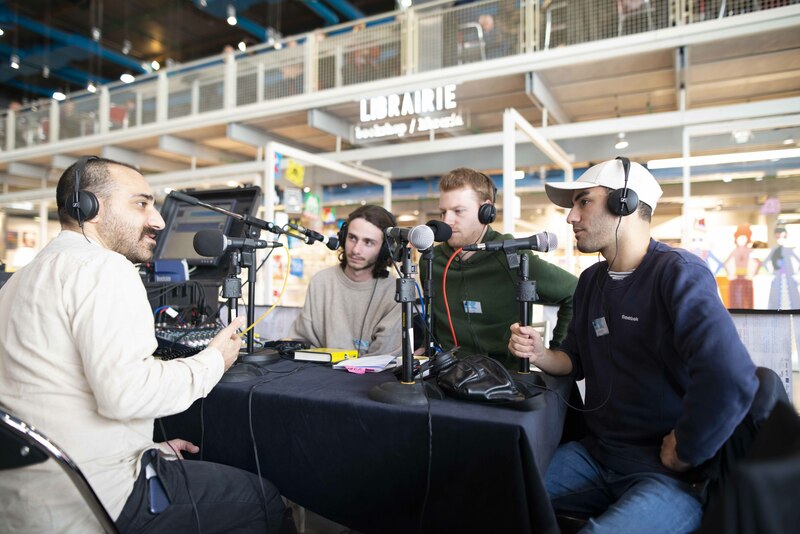 In this wet lab, participants can engage in the processes of growing kombucha and mycelium through different sensing technologies, in order to inform surface patterns and explore the foldability and collapsibility of these materials. 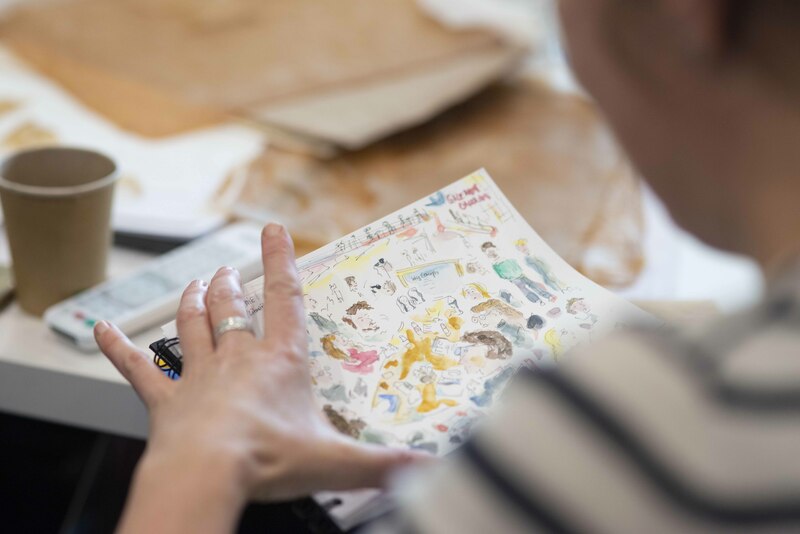 The hands-on activities are tied to discussions about methods and ideas for establishing resilient, adaptive, creative, and ethical futures. Such speculative scenarios are aimed at cultivating an understanding of practice as taking place in the entanglements of the material, sensory, technological, human, and discursive relationships necessary to a renewed understanding of contemporary socioenvironmental issues. Rice is the second most consumed cereal in the world. In laboratories, cereals are genetically modified to cope with climate change, population growth and consumer expectations that determine its texture, taste, and shape. 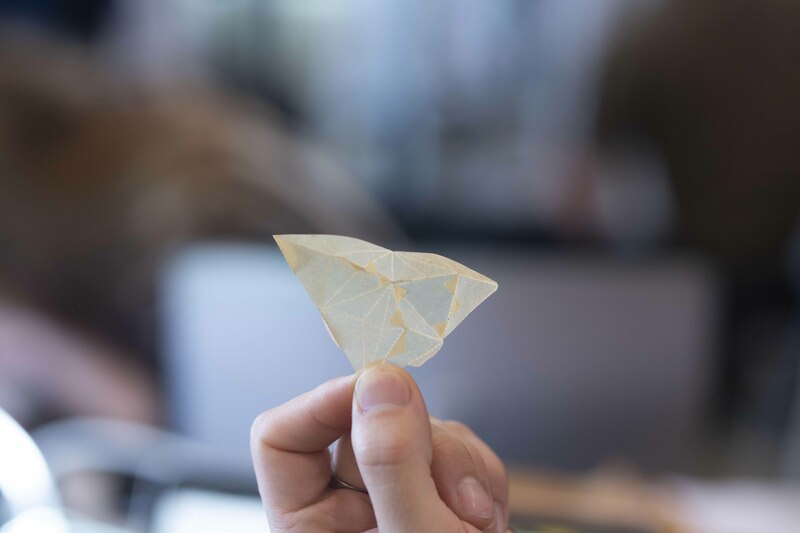 In order to question the genetic improvement of rice and the artificialization of our consumption patterns, this module proposes a participatory culinary experience aimed at generating a 3D printed food product from sensory data. 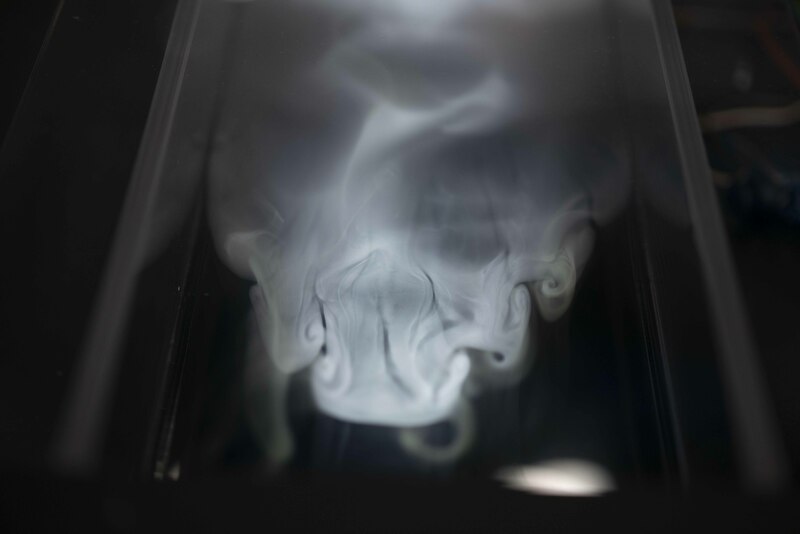 In a 2.5-metre channel, a layer of mist is animated by mobile and ephemeral, ghostly and mucilaginous forms. This substance, which materiality is uncertain, changes texture and moves in response to motions around the basin, to the distant caress of a hand. The space that this behavior deploys in the imagination is musical rather than choreographic: The mist behaves like a sound material made up of textures and rhythms. 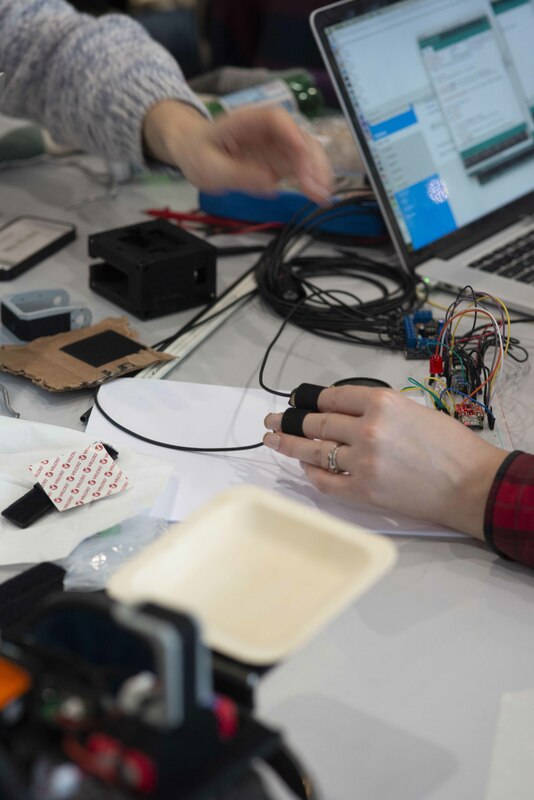 During the workshop, different behaviors, responses and musical writing can be explored according to the information provided by different distance, motion or heat sensors placed at each end of the fog channel. Considering the possibility of a phenomenology of data, this workshop investigates what the creative, artistic action of reification of data brings to their sensitive and perceptive reception, to their cognitive appreciation, to their intellectual evaluation or estimation — more generally, in the light of the different subjects, to the understanding of the complex realities of the modern world. To this end, this work group explores how a number of data “conversions” are translated into a wide range of forms and materials. This module explores ways of making and producing sustainable objects that can interact with their environment, inspired by living organisms. This involves investigating beyond isolated organisms or biological functions to delve into the complete study of the interactions between organisms ant their environment. 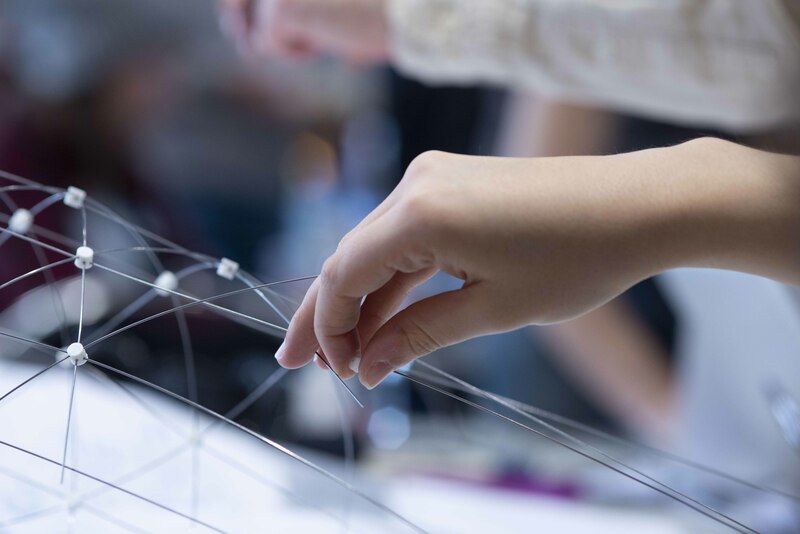 By questioning the life cycles of different organisms, we address issues of growth, sustainability or degeneration of structures, and the impacts that these notions have on the way design projects unfold.